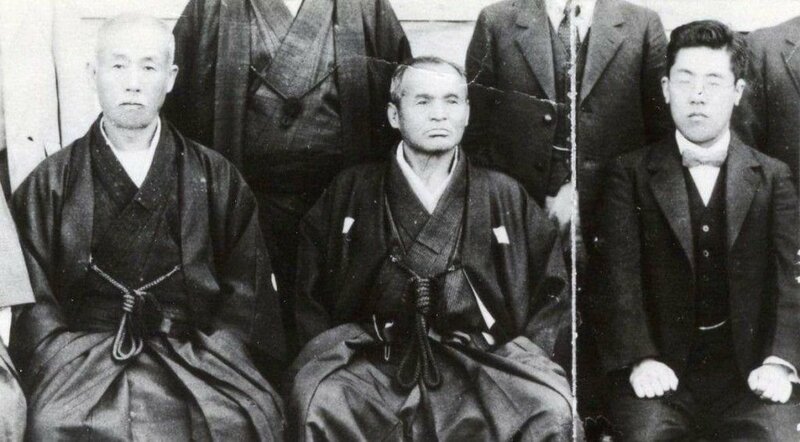 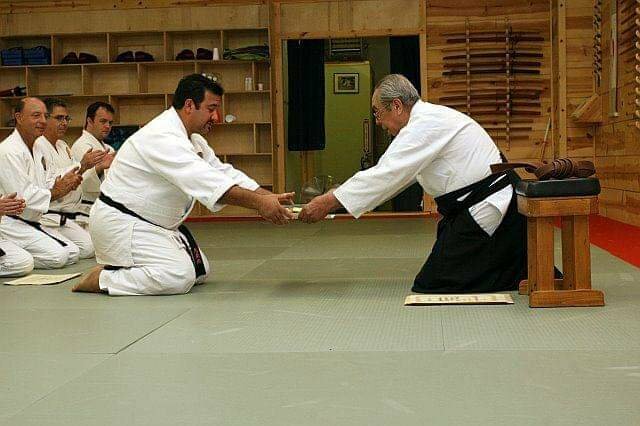 Takeda Sōkaku (middle) and his student Kodo Horikawa (right). 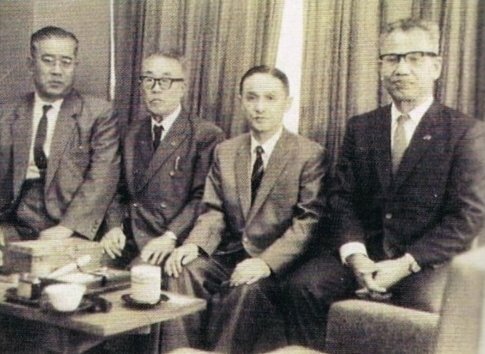 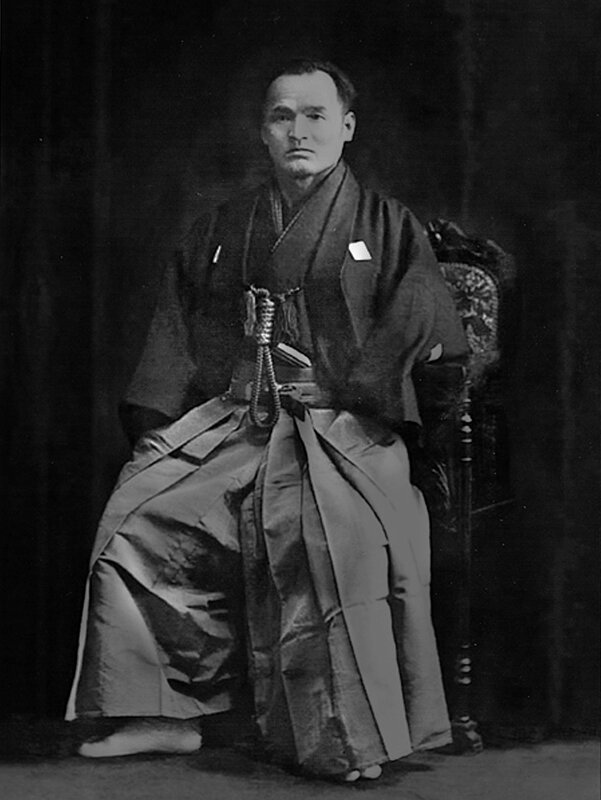 Kōdō Horikawa (second from left) seated with Shioda Gōzō (third from left). 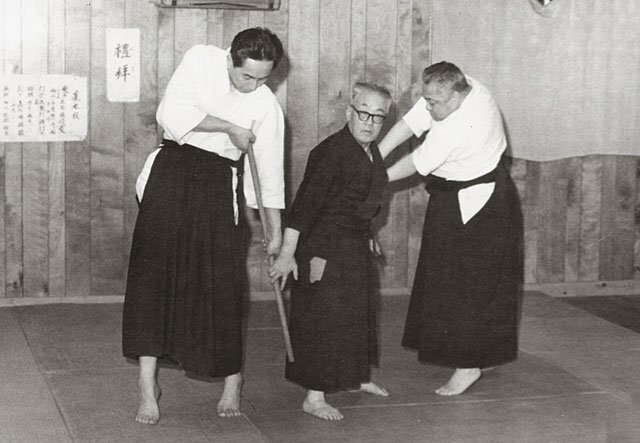 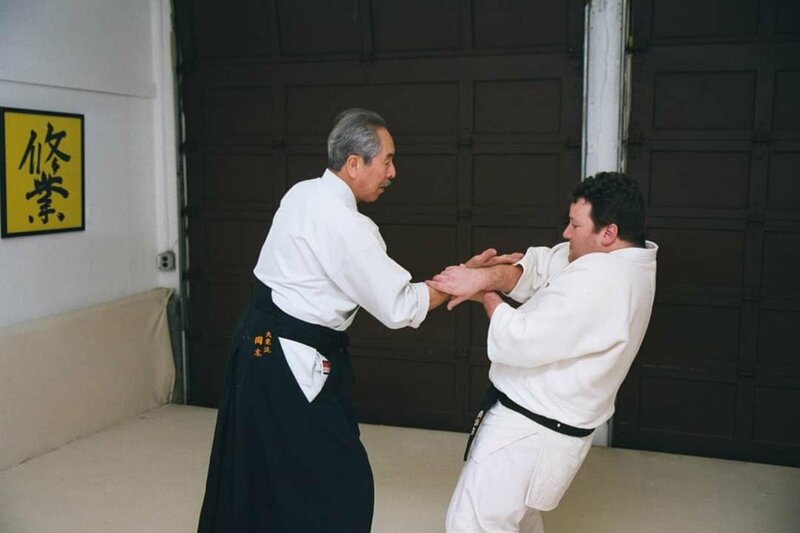 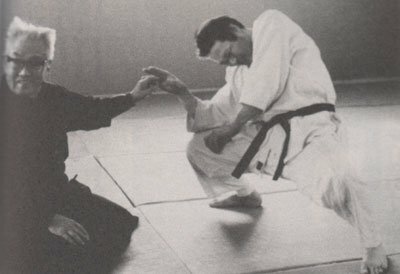 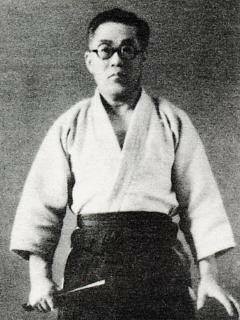 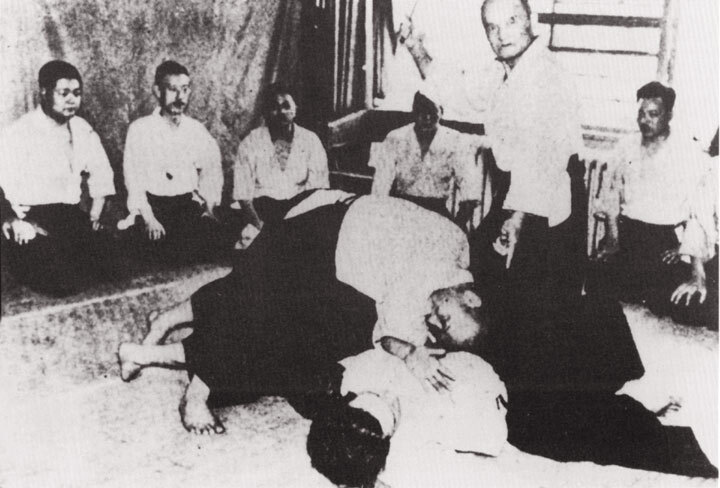 Kōdō Horikawa (middle) training with Okamoto Seigō (left). 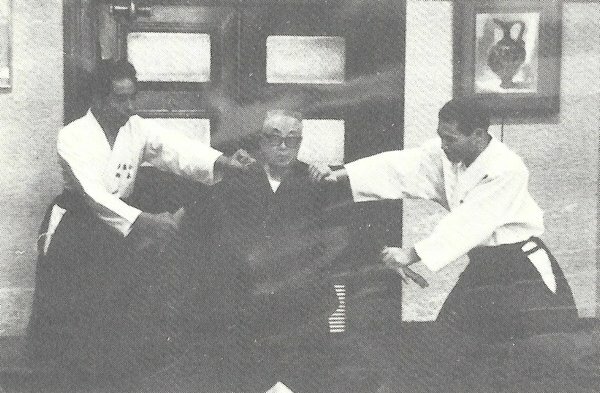 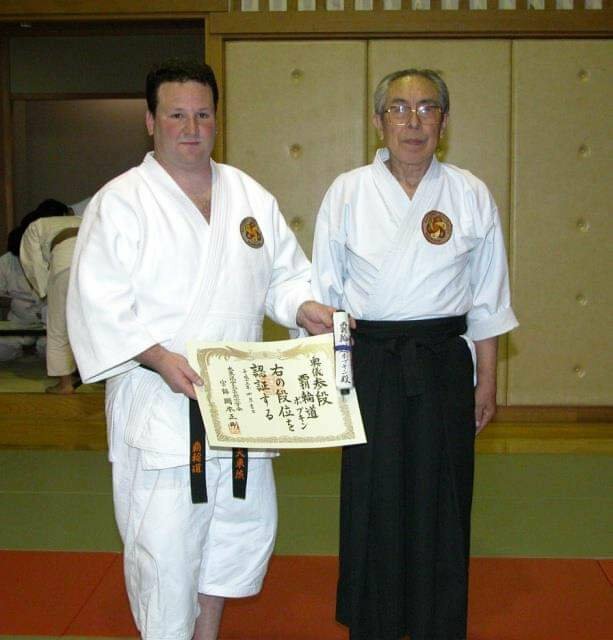 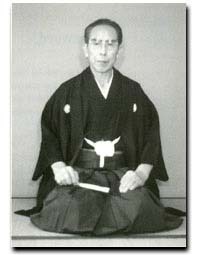 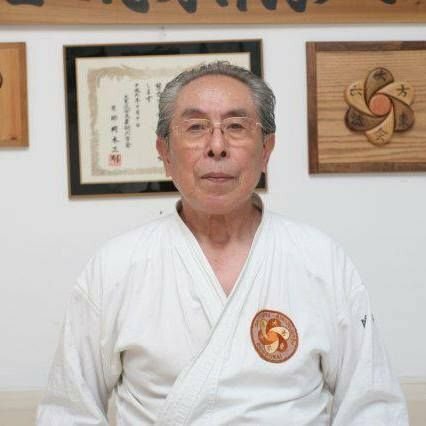 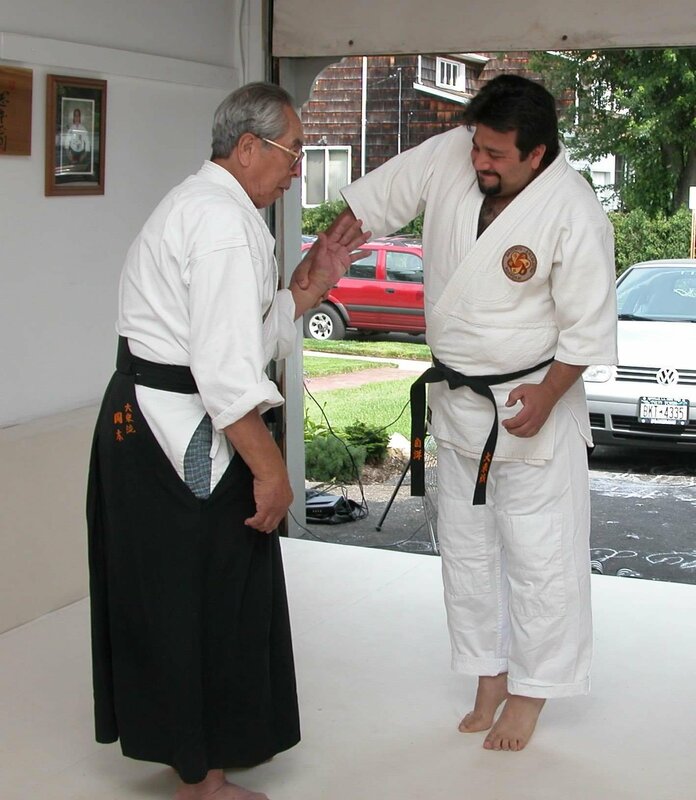 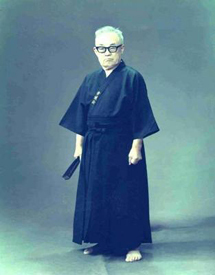 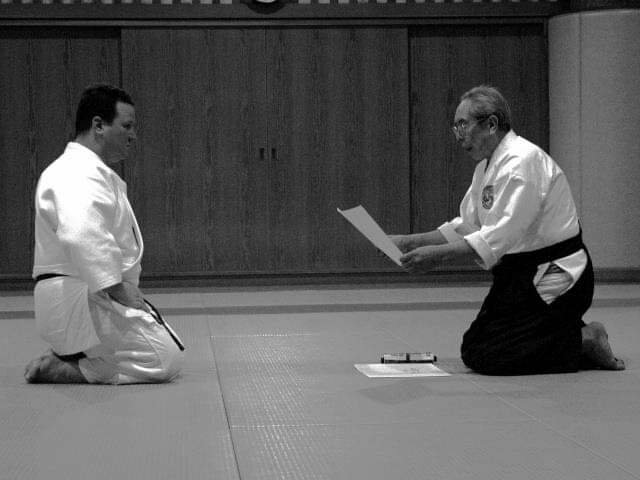 Okamoto Seigō, with Howard Popkin. 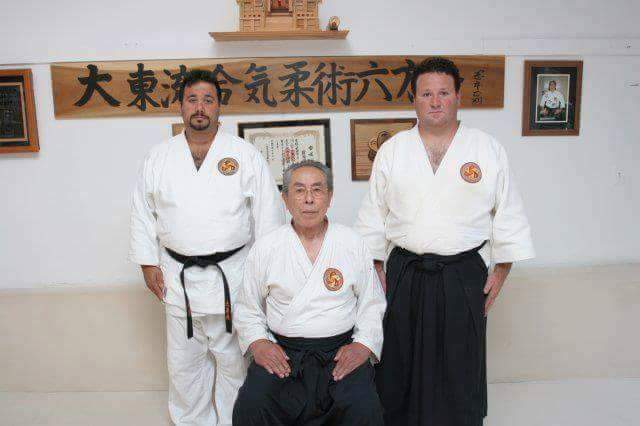 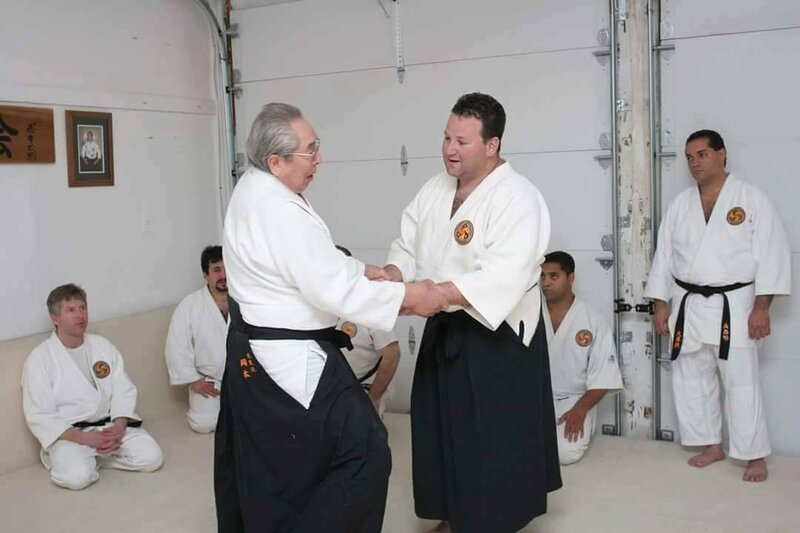 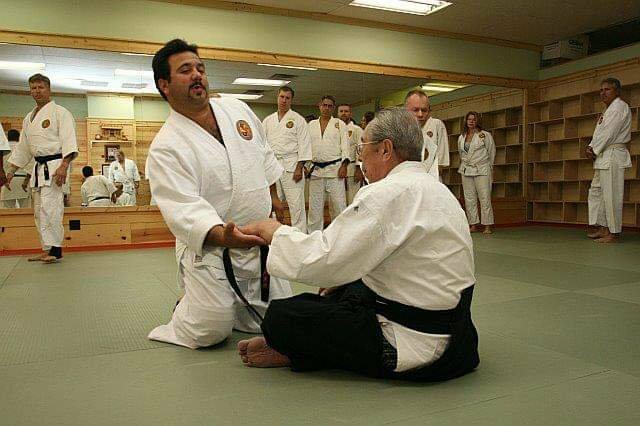 Okamoto Seigō (centre) with Joe Brogna (left) and Howard Popkin (right).